A death knell for DVD's? An exclusive look at an industry that is losing billions of dollars, and perhaps a shot at existence. Online schools like the University of Phoenix have been exploding of late, but is it worth the bang for your buck? Type “University of” into Google’s search box, and you may be surprised with the first auto-complete suggestion. It is not the University of Florida, which boasts more than 59,000 enrolled students. It is not the University of Minnesota, with their Twin-City campuses and more than 60,000 students. It is the University of Phoenix, with a staggering enrollment of 420,700 students, and with campuses, well, almost everywhere. The University of Phoenix is currently the world’s most popular online institution of learning, and while the University has two campuses in Arizona and Nevada, associate to doctorate’s degrees can be earned entirely on the web. The University of Phoenix is the leader in web-based education, something that all educational institutions have taken steps toward. But Irene Silber, director of public relations at the online Capella University, made it clear that on-the-web and on-campus demographics were very different. She said 82 percent of Capella’s students are currently enrolled in Master’s or Doctorate programs. And it appears that a newer market of learning is where money can be made. Silber pointed out “The Other 85 Percent,” a blog by Capella Vice Chairman Michael Offerman. According to Offerman, 15 percent of students involved in higher education are in the traditional 18-22 year old demographic. The other 85 are a new, older breed of college students. “As the face of the typical student has changed, so must the institution of higher education itself,” Offerman advised in the “About” section of his Web site. But the traditional late teen demographic has not disappeared, and according to some, does not mesh well with an online education. One 20 year old student at Quinnipiac University in Hamden, Conn. took an online class through Quinnipiac, and was disappointed with the experience. Marino, a computer science minor, enrolled in Computer Science 111 during the summer of 2009. Equally as difficult was time management for Marino, who worked full-time over the summer. Marino’s class actually had to be extended a week so students could complete the curriculum. But her troubles, according to Silber, may speak to a greater issue in online education. But Silber felt that for an older student, with a job that keeps them occupied, an online education was a more accessible option. Silber did admit, however, that the undergraduate program was growing at Capella, and so have the online undergraduate programs across the globe. So while high school students begin to weigh their higher education options, the online college is a viable one. But does the value compare? In a direct comparison, a Connecticut undergraduate could save about $4,500 dollars per semester by commuting to Southern Connecticut State University than taking classes online with the University of Phoenix. Tuition and fees for a SCSU student in the 2009-10 academic year is $3,789 per semester, while the University of Phoenix costs $530 per credit, and an $85 course materials fee per course. Marino, a Long Island native, had a cheaper and what she felt to be more educational experience taking summer classes at SUNY Stony Brook than her online classes at Quinnipiac. Four credits at Stony Brook was $800, while four credits online with Quinnipiac cost $2000. Both the University of Phoenix and SCSU are accredited, and according to Silber, the comparison of job opportunities with their respective degrees is unknown. “Obviously someone with a Masters from Columbia is going to have a better chance than someone from Capella,” she said. “But that’s prestige. Silber said the “majority” of Capella students report jobs six months after graduation, but “really didn’t know” whether the online part of a student’s education had an impact. And for those looking for a top-shelf education for free, even that is available online. Starting in 2001, MIT began publishing their course tools, assignments, and curriculm online, and now offer 1900 courses, free of charge, on the MIT OpenCourseWare Web site. Video and audio lectures, course materials, and class notes are available. Educational options online have continued to grow, and according to Silber, almost all colleges have some education opportunity on the web. “Even some high schools are doing it now,” she said. Above are the yearly numbers for tuition from three different colleges. Yale University costs about $34, 500 per year. Southern Connecticut State University is $8,375, and the online University of Phoenix is right in between, hovering around $16,000 per year. It hasn't been an easy run for radio. Borne into the world in the late 19th century, it has been around to see the rise of television, the Internet, and the iPod. And somehow, it has clung to life. WQAQ, Quinnipiac University's own radio station, is clinging with a passion. The organization is the largest on campus, with its membership around 200, and because of its circle of devoted students, the WQAQ office is never empty. But like every radio station, they are currently facing a serious lack of listeners. As reported in the New York Times on Dec. 5, radio listenership is down 10 percent from 1998 to 2007, and 18 percent among 18- to 24-year-olds. Add to that the rigors and limits of college radio, and one will find that student listeners are few and far between. But WQAQ General Manager D.J. Bernat did not find the issue to be of great concern. "It's sort of a tried and true joke that college radio isn't something that is necessarily popular with the mainstream of the college," Bernat, a print journalism major, said. "We see it as a place for people whose interests don't necessarily reflect the mainstream of Quinnipiac." WQAQ allows for any sort of programming, from sports talk to politics to all genres of music, and while the variety often makes for interesting radio, it can also turn people, more specifically students, away. "The appeal for a lot of students is to tune into that top 40 radio station," manager of student media organizations Michael Riecke said. "WQAQ sounds nothing like a top 40 station. They can market their brand as much as they want, but if people are tuning in and not hearing what they want to hear, they may not come back a second time." Riecke, hired last year to oversee all of Quinnipiac's student media outlets, noted that the station also faces technical difficulties. More than one-third of radio listening is done in a car, but it takes only a few minutes of drive time away from the Mt. Carmel campus before the WQAQ frequency begins blacking out. But don't get the impression that WQAQ is struggling to stay afloat. The radio station is Quinnipiac's reigning organization of the year, and their campus presence is felt with several concerts each year and charity events. Its members can often be seen sporting WQAQ sweatshirts, and according to Bernat, "the people (WQAQ) matters to, it matters a lot." "It's a huge part of their life and, for a lot of them, it's the reason we're here. And while we're somewhat of a subculture, at the same time we're very accepting," Bernat said. "I would never turn someone away because they have different tastes than mine." Two hours to the north, another college radio station carries a similar theory: WERS. 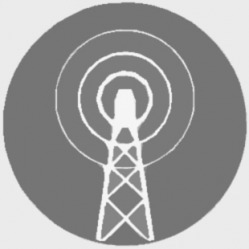 The FCC-licensed commercial radio station out of Emerson College in Boston was ranked the No. 1 college radio station by the Princeton Review. WERS does not attempt to mimic commercial radio-they are commercial radio. "One of the things that sets us apart is that our audience is not students," Sam Citron, program director of WERS, said. "We're a community station that targets residents of Boston, its suburbs, and most of the New England states." WERS's target demographic is a bit older, 25-50, Citron said, than Emerson's students. The station has a decent following on campus, but WERS leaves that duty to its sister station, WECB, a station similar to WQAQ in its programming. And while Citron acknowledged the decline in radio's popularity, he was in no way aversed by it. "Radio is in a tough place," he said. "Listenership is down, ad revenue is down. But it can still be a great platform. It's the number one way that most people discover new artists, and it's a way to expose local bands and news." Back in Hamden, Dean of the School of Communications David Donnelly agreed. "No communications medium has ever died," he said. "Technologies have died, but never a medium. When I was in college, we had to learn how to hand-backtrack a record to play on the radio." While the Communications school has no classes particular to radio, they carry a few, including "Writing for the Ear," that focus on radio technologies. And while Donnelly does not discourage students from radio studies, he encourages them to focus on emergent industries. "Radio is not a growth industry, and I always advise students to look at industries that are growing," he said. "When I was younger, the radio was much more influential--a much bigger part of our culture. It's less important to people today than it was even 20 years ago." Much of that shift has been attributed to MP3 players, with accessibility to music that trumps radio. Why listen to radio when one can listen to their favorite artists at any time? "That's the question every radio station is struggling to answer," Riecke said. "But remember, your iPod doesn't give you traffic updates or weather reports. If there's a storm coming, your MP3 player is not going to tell you where that black cloud is headed." As for college radio, Bernat noted that it's a place "to hear something you've never heard before." "Its new music and different opinions," he said. "There are all kinds of themed shows, and of course your iPod doesn't give you running commentary in between. It's a unique entity unto itself because it's not commercial and you have a lot of freedom." "That's sort of the roots of college radio," Riecke said. "They're doing stuff that's off the beaten path, and you'll find that most of the best college radio stations do just that."